Nice program (except for the Bartok, which I don't know). I had an Odyssey LP of Rampal performing the Prokofiev, Debussy and Poulenc (IIRC) which gave me much pleasure in the 70's. The Bartok Sonata is based on folktunes and is more obviously tuneful than much other Bartok. I suppose, that in the CD's booklet size the grain etc. are not so obvious. I agree though that it is a nicely natural and "untouched" photo. I'm wrong. 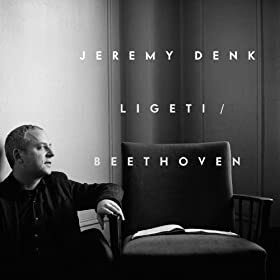 I hear Denk play Ives at this recital. 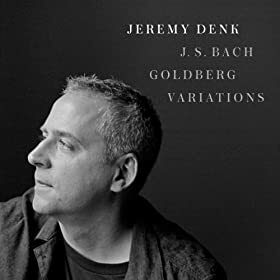 Last year Denk won a MacArthur Award. Now listening to CD 3, Haydn Piano Concertos in D and G/Schumann Carnaval, from "Arturo Benedetti Michelangeli - The Master Pianist" box set on EMI. I love it when new Lute CD's are found, especially from composers I had never heard of. In this case Michelangelo Galilei (younger brother of Galileo Galilei :tresbon:. Now listening to CD5, Schubert Sonata D 537/Chopin Mazurkas, Prelude Op.45, Ballade Op.23, Scherzo Op.31 from "Arturo Benedetti Michelangeli - Collector Edition" DG box set. How do you like Michelangeli, bluemooze? Now listening to "Schumann Piano Concerto" performed by Rudolf Serkin with the Philadelphia Orchestra led by Eugene Ormandy on CBS vinyl. I enjoyed listening to him very much. Thought he made the Chopin works sound beautiful. Still on a first-listen basis - haven't heard the entire DG box yet. I bought a ton of box sets before I retired and am now getting to go through them at my leisure. Now listening to "Souvenir Russe" by Baiba Skride and the City of Birmingham Symphony Orchestra led by Andris Nelsons. All Tchaikovsky works - Violin Concerto Op.35/souvenir d'un lieu cher Op.42/Pas d'action and Danse Russe both from Swan Lake Op. 20. That's a later incarnation of the same Schumann performance that I mentioned as coming coupled with the Mendelssohn ones in my "first time" twofer LP set. Denk's Goldbergs come with a DVD explaining this masterpiece of Western music. Indeed it is. I don't have the Mendelssohn though. 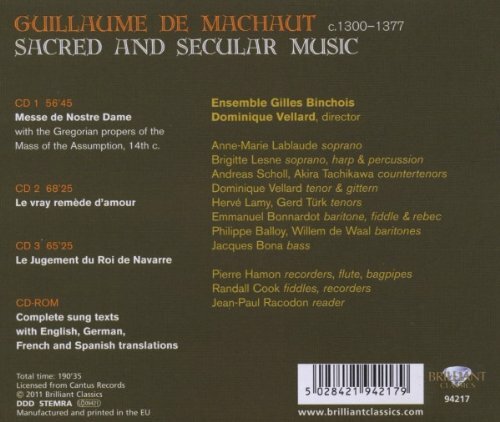 Now listening to "Machaut - Le Jugement du Roi de Navarre" by Ensemble Giles Binchois on Cantus. I had that at one time. There are a number of good performances on it but on one or perhaps two of the disks, the narrator* just got under my skin with very mannered interpretations. A shame too because Machaut's music is mostly badly performed. In fact he may be the greatest composer who is performed the worst. The recording was a bit too reverberant as well if my memory of it is accurate. I would be curious as to your reaction. 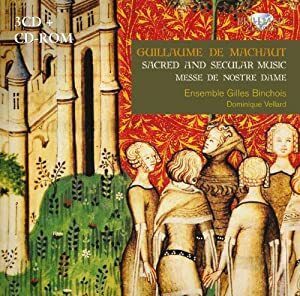 *NB Guillaume de Machaut was as noted for his poetry as his music. He wrote half a dozen long narrative poems on courtly love which incorporated a number of songs. This was an attempt to put the songs back into their original context. Do you like this set? I have been through it only once a while back. Yeah, the narration isn't my idea of ear candy but I just tune it out until the music/vocals start again. You need it. It is beautiful.